Because corn is in season. And because I tried it last year and told myself I would make it again. 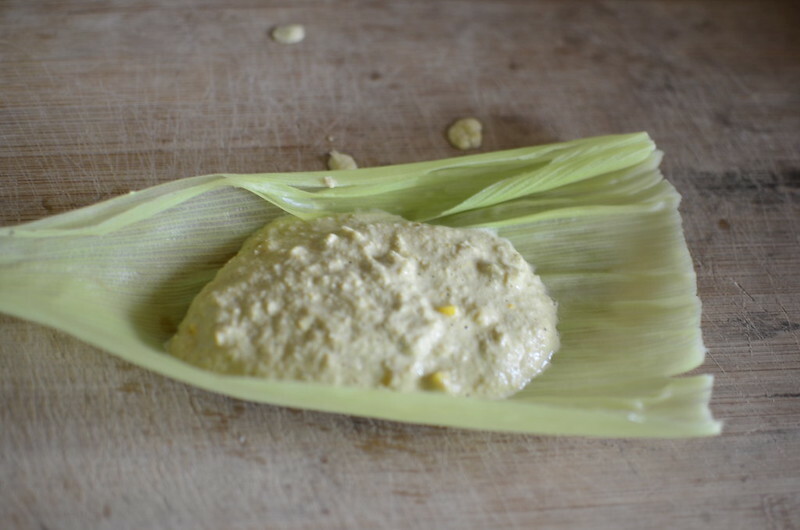 Similar to the Mexican tamale…Except tamales are made with masa – corn meal that’s treated with lime and turned into meal or paste while this is made with fresh corn. In Yoruba, it is known as Sapala and in Igbo, Ikpakpala. 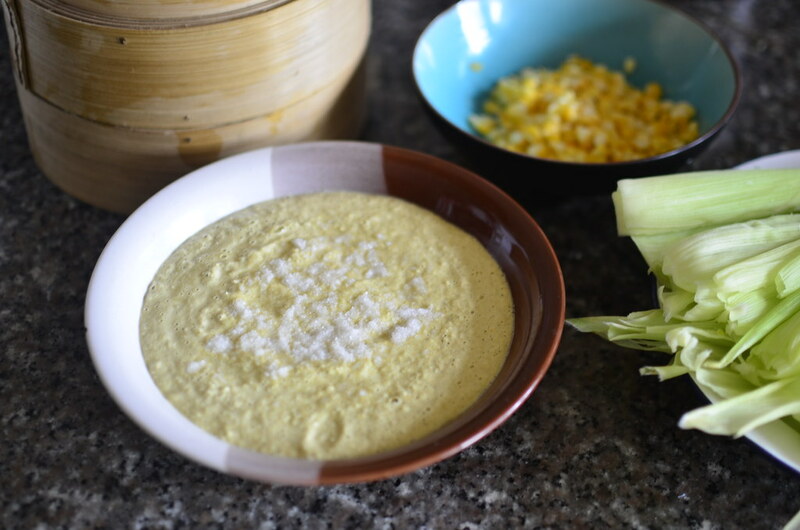 The first time I made it, I added lots of curry leaves which gave it a distinct clove flavour. It was overpowering if tasty with the dried shrimps and crayfish that went in the mix. This time, I’ve gone with my besto – scent leaves. Nchanwu. Efirin. 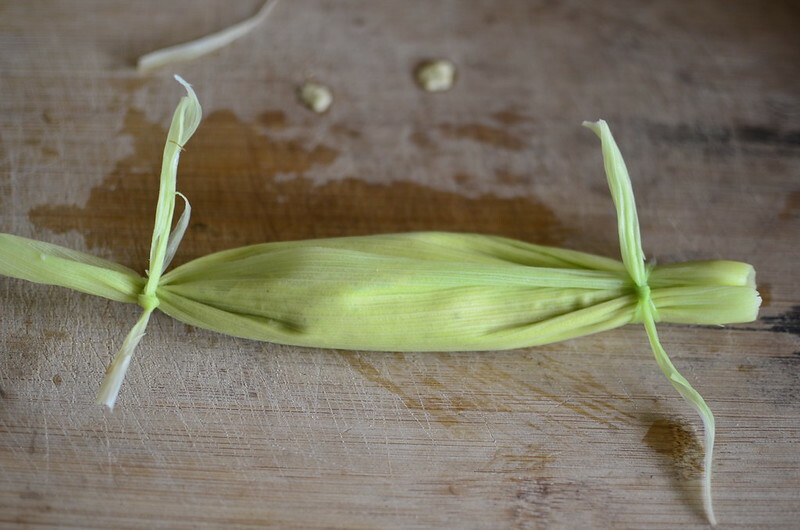 And I’ve gone with using the corn, the whole corn – well almost – using the husks as wrappers. The result my friends is stunning. 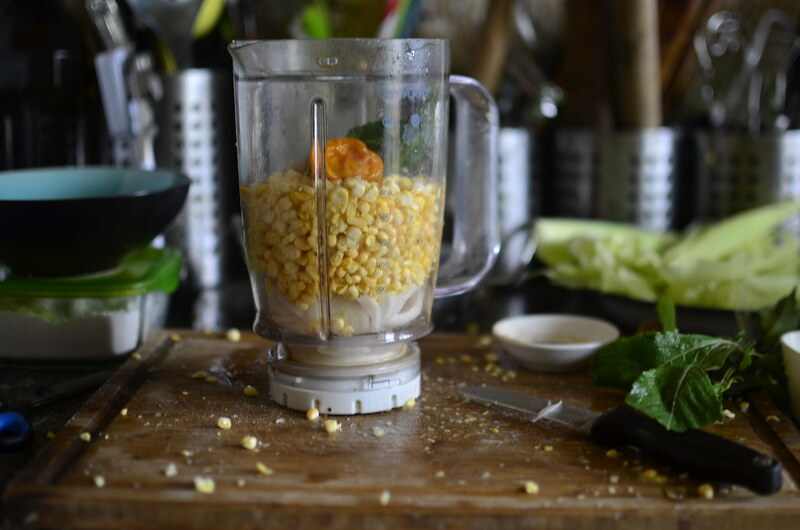 All of the freshness of the season, in creamy corn. 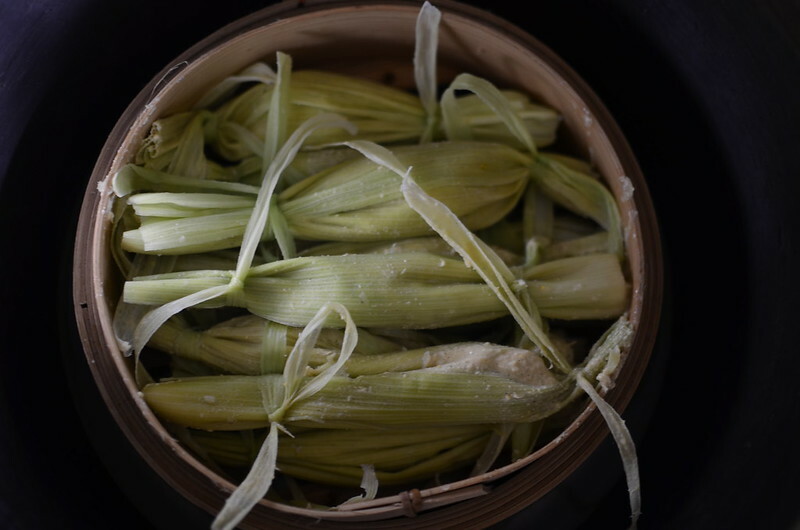 Wrap in blanched corn husks, banana leaves or cupcake moulds, then steam and voila – beauty. How am I eating it? With sauteed prawns and scent leaf dip and a spoonful of Chili Beer sauce and a tall cool glass of something. Wrap/ set in moulds - corn husks, moinmoin leaves, moinmoin tins/cupcake molds work well too.